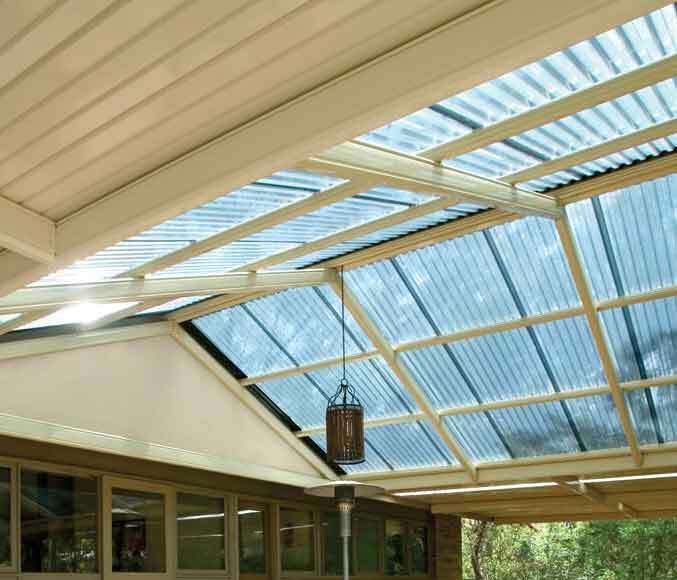 The Outback Multispan Gable creates space, improves ventilation and adds prestige to your home. It has an impressive gable design that is integrated with a traditional Flat Roof Outback. The Multispan has been designed with flexibility in mind. It offers the flexibility to accommodate your choice of roofing materials and design options. 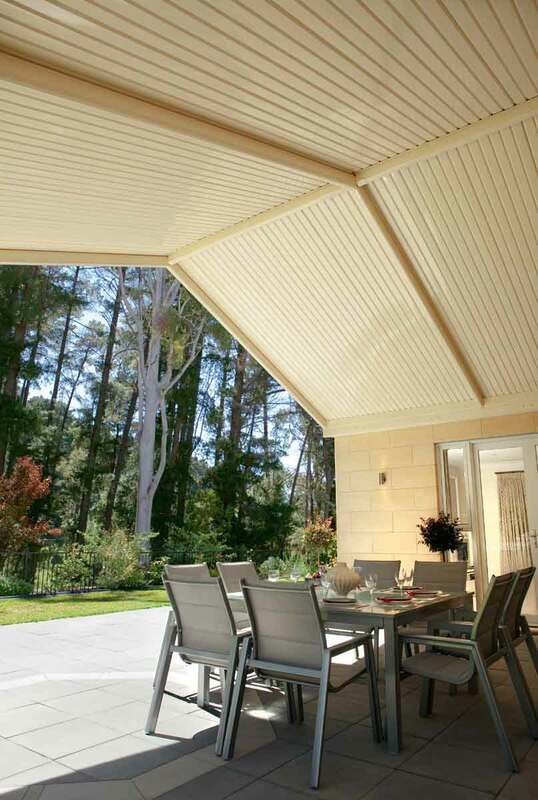 Whether it is polycarbonate to maximise light, traditional corrugated iron to match your home, or the smooth and glossy look of the Outback deck, the Multispan Gable can be tailored to suit your needs. The gable is available with a 22 or 30 degree pitch and a maximum opening of 6.6m when attached at both ends, or 3m when attached at one end. The Outback Clearspan Gable adds flair and style to your home and outdoor living area in a distinctive manner. The Clearspan is a gable design with great visual appeal and superior spanning capabilities. It features Outback deck as the roofing, and the strength of this roof sheeting means that purlins are not required, producing a wide spanning free flowing effect. The clearspan has a high glossy ceiling like appearance from beneath and light panels are available where additional filtered light is required. The gable is available with a 22 degree pitch and maximum 7.5m opening. The Stratco Multispan and Clearspan Gable are competitively priced and can be installed by authorised stratco dealers. The system has been engineered to relevant Australian Standards and fully tested and certified by independent Structural Engineers. With Outdoor Impressions you can feel confident that your Stratco Outback verandah, patio, pergola or carport will be installed by a registered builder, licensed plumber and all relevant permits will be taken care of. We look forward installing a verandah at your place, anywhere in Melbourne. Wind Speed Attached to the wall or fascia on one side only Attached on one side and to the wall or fascia on one end using 120 or 150 Stratco Outback valley beams. Attached to a flat unit on one side and a wall or fascia on the opposite side. Or attached both sides and to the wall or fascia one end using 120 or 150 valley beams.